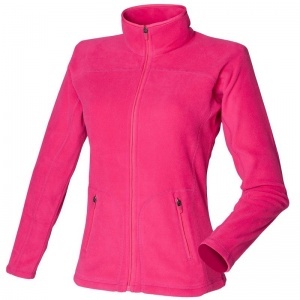 Great looking Ladies fleece with Anti pill, ultra soft, stretchy lightweight fleece and sporty side and underarm panels. Flat lock seam detail and zipped side pockets. Perfect for Embroidery.